These are typically referred to as ‘organic listings’, ‘organic SERPs’ or the ‘organic results’, although some people may substitute ‘organic’ for ‘SEO’. Organic listings constitute the second type of listing you can see in the SERPs. These listings cannot be purchased or directly paid for unlike the paid listings described previously. You can only optimise your site for this listing type, which means SEO! Happy days! 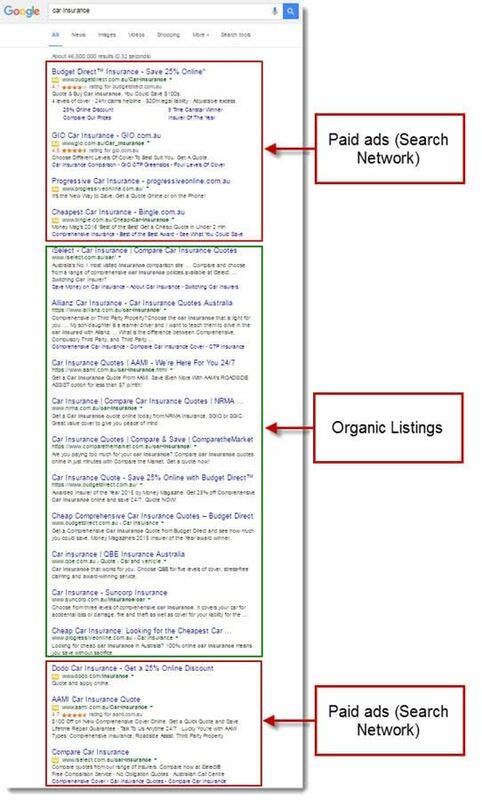 The screenshot below illustrates the difference between organic and paid listings, in case you forgot it from the last page. There are however, many different types of organic listing with most being attained through some type of SEO endeavour. We cover the different listing types in the following pages.